The long “Levy” road ended with the big final on April 30. We hope you profited from our analysis and took advantage of the “Free-For-All Promotion” that introduced you to many of Brisnet’s handicapping tools. Foiled Again was denied a three-time championship as one of our old-time favorites, Real Nice, won the final (left, photo by Tom Berg). We didn’t think he would do it. But we made up for it by giving you the winner of the Levy consolation, as Mr Massimo delivered a healthy $9 for his victory. The bulk of success this past weekend came from horses either on the Cal-Expo watch list or horses on our April-30 Pick 4 at the mile oval. It has been happening over the past few weeks that horses we include in our Pick-4 combo lose on the ticket and then come back in races not involved in the exotic and win; some at very healthy prices. We began the Pick 4 with Bo Knows Power as one of three on our ticket in leg one. “Bo” launched the wager with a win worth $20.20. Remember, never let some of these high-priced horses on the exotic ticket go without a win wager. A win on Bo paid for the rest of the ticket, since we don’t engage in heavily-priced tickets, which is another part of our profit-making strategy. In the last leg, Well Heeled won, paying only $6 but worth every nickel. On Friday and Saturday’s programs at Cal-Expo, three horses returned to win after being parts of failed Pick-4 plays the few weeks before. TJ Beach Poker won, paying $16.60; Bronte won, paying $12.40; and Britts won, paying $8. Our Woodbine experience was awful. Our watch list crashed and our tweets were unproductive (go follow us there). No excuses are available any time for what turns out to be bad advice. Continue to follow all horses we place on a watch list because, as proven above, over and over they return in the next two races to clobber a field at a fair price. Last week we reported about the exodus of horses and horsemen from the Meadowlands due to politics and other peculiar policies. This week is filled with good news concerning the sport’s flagship track. Live harness racing returns to on Saturday, May 7 with a card that features eliminations for the Arthur J. Cutler Memorial and Graduate stakes, along with a new event for conditioned pacers. 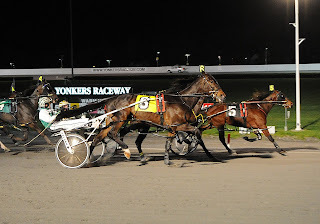 Meadowlands will operate on a Thursday-though-Saturday live racing schedule in May. Post time is 7 p.m.
A special Mother's Day matinee program will be raced on Sunday, May 8. Post time is 1:10 p.m. The new event includes multiple $11,000 divisions for pacers that are non-winners of $6,000 in their last five starts. The highest money-earners from the preliminary round will advance to a $30,000 final May 14. This also means that the Meadowlands remains one of the tracks involved in TwinSpires contest for bettors aiming at two seats in the National Harness Handicapping Championship (NHHC). On May 13, the second round employs the Meadowlands and Woodbine for competitors. Information on that is available by clicking here. More of last year’s heroes have been qualifying for debuts at their new ages. Students of Jimmy Takter and Trond Smedshammer won most of the qualifying races on April 30 at the Meadowlands. 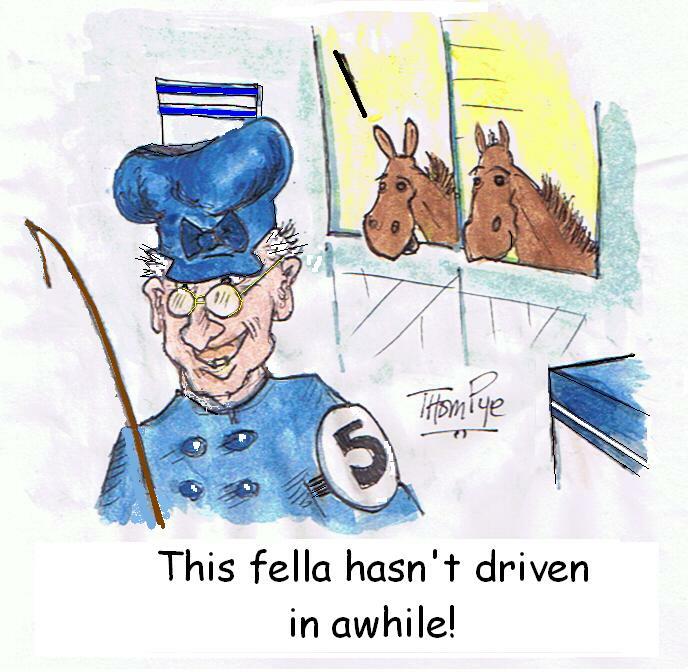 Takter sent out Pastor Stephen (1:56.4) and See You At Peelers (1:53.1) with his son-in-law Marcus Johansson driving. Pastor Stephen is a colt trotter that won six of 11 at two and $664,56 and See You At Peelers, a frosh-filly pacer won all 13 of her rookie starts, earning $581,649. Takter also won with three-year-old filly trotter Thatsnotmyname and five-year-old stallion Vintage Master. Smedshammer won with sophomore gelding trotter Im The Answer (1:57.3) and with four-year-old trotter Blacktuxwhitesocks, the New York Sire Stakes champion trotter at two and three (he was not eligible for the Hambletonian), with 13 victories and $467,800.